The build of the AMOS-6 satellite. Photo courtesy of IAI. In the company’s role as an emerging global satellite provider, AMOS is known in Europe—primarily the Central, Eastern and Russian regions—as well as throughout all of Africa, the Middle East and important areas of Asia that include China and Southeast Asia. New and improved technologies are also a part of the equation that ensure Spacecom’s worldwide reputation for excellence and prompt response. Since the successful launch of AMOS-4 to the 65 degrees East prime orbital position, where it serves Russia, China and Southeast Asia with valuable Ku- and Ka-band capacity, Spacecom has expanded its presence to new markets that are hungry for reliable service. Today, the AMOS fleet consists of the AMOS-2 and AMOS-3 satellites that are co-located at the 4 degrees West orbital position, serving Central and Eastern Europe, the Middle East and the U.S. East Coast. AMOS-5, located at 17 degrees East, serves Africa and the Middle East along with AMOS-4. Together, these satellites offer a wide range of communication and broadcast services for the telecom, broadband and broadcast markets such as direct-to-home (DTH) and direct broadcast satellite (DBS) operators, Internet service providers (ISPs), telecom operators, network integrators and government agencies. 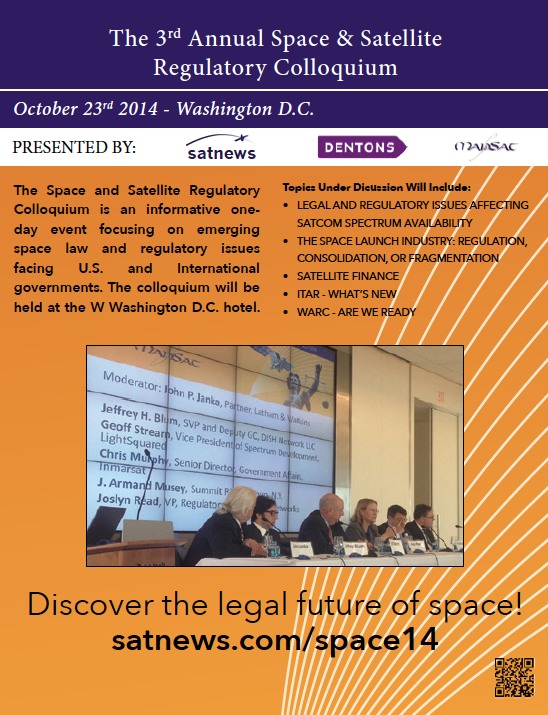 Europe has always been a key market for Spacecom and will soon become an even stronger component for the company. During two decades of operation in the CEE region, the company has developed long-term cooperations and partnerships with the region’s key players and major media groups. From the 4 degrees West orbital position ‘hot-spot’ where AMOS-2 and AMOS-3 are co-located, the AMOS constellation provides excellent, strong broadcast neighborhoods. Clients include DTH platforms such as T-Home SatTV (Magyar Telekom) in Hungary, a subsidiary of the Deutsche Telekom group; Xtra-TV in the Ukraine and Israel’s Yes DTH platform. These DTH operators anchor the European business. With one of the strongest satellite presences in Central and Eastern Europe, Spacecom also works with leaders such as HBO for its European cable and IPTV distribution, Ukraine’s Inter Media Group and MTV channels, among others. In 2015, Spacecom’s next satellite, AMOS-6, is scheduled for launch and commercial operations will quickly follow its slot positioning. Also to be co-located at the 4 degrees West orbital position, AMOS-6 will be larger than AMOS-2 and AMOS-3 combined, and will incorporate new technologies, such as High Throughput (HTS) Ka-band spot beams for improved broadband Internet access as well as Ku-band technologies. 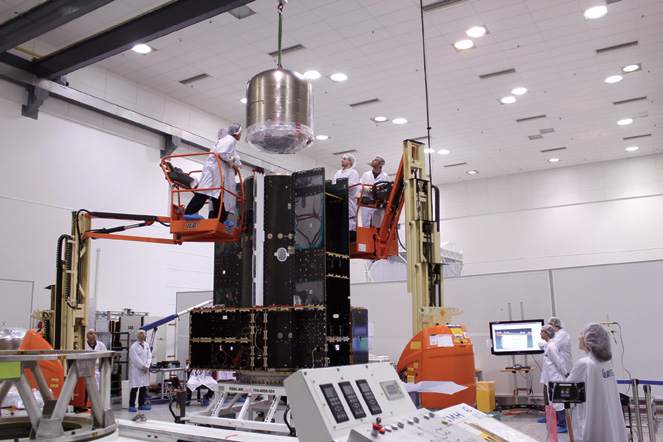 With a launch weight of 5,500 Kilograms, the satellite will use 9KW of power and offer 39 Ku-band segments and 24 Ka-band beams to provide a wide array of services. Fitted with numerous new technologies that include electronic propulsion capabilities to save on weight and cost, Spacecom expects AMOS-6 to have a long and highly productive life in orbit. HTS is expected to provide a growing market, worldwide, and already the market is ramping up with various operators and services providers providing packages. With AMOS-6, Spacecom’s Ka-band spot beams will enable HTS based services in Central and East Europe as well as be ready to meet the needs of service providers in Sub-Saharan Africa. As broadband Internet access for the consumer and business markets moves forward—and we are closely monitoring these markets—the company is excited by the opportunities being presented. Broadband service providers will find our spot beams’ excellent coverage and high capacity to be a great fit in expanding their offerings. The HTS capacity and attractive Mbps cost will answer the markets’ emerging needs. Spacecom sees AMOS-6 playing a role in providing dual-play with UltraHD content in specific markets; 3G and 4G backhaul to smaller sites to enhance low ARPU; IP trunking; Oil & Gas platforms; and Government services, among others. With the unique coverage and built-in operational flexibility, AMOS-6 HTS is designed to concurrently provide multiple services and the company looks forward to bringing new clients to the AMOS brand. Taken together, the satellite’s technologies will enable Spacecom clients to provide more and higher quality services to their customers. As a larger satellite, AMOS-6 will strengthen the AMOS brand by adding Western Europe to its service capabilities, in addition to Central and East Europe, with the satellite’s resources being developed to provide services in parts of Africa. 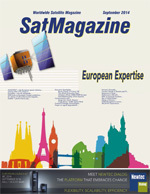 Though much of Spacecom’s business in Europe is broadcast related, telecom and communication related services are also becoming more a part of the firm’s operations. The connected world is becoming even more reliant upon satellites for backhaul, redundancy and for QoS over vast areas or mountainous and hard to reach regions. Today’s satellite technologies are certainly becoming more cost effective, as pricing per Mhz is being reduced to better enable service providers to stay ahead of their competition and make their end-customers happier and satisfied with the services being received. Jacob Keret brings to his position more than 20 years of global business and management experience in the aerospace and telecommunications arena. Before returning to Spacecom in 2011, Jacob served for six years as vice president of marketing and sales at Starling Advanced Communications. 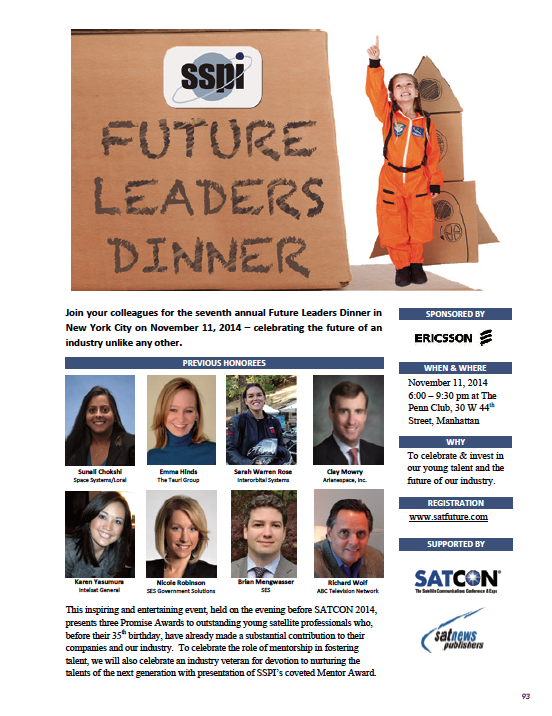 Prior to that, Jacob co-founded Spacecom Satellite Communication Services. He served as vice president of marketing and sales at Spacecom,and helped build the company into what it is today. Previously, he held the positions of marketing manager and space systems engineer in the MBT Division, Space Directorate of Israel Aerospace Industries (IAI). Mr. Keret holds a B.Sc. in aeronautics and space engineering from the Technion – Israel Institute of Technology and an MBA from Tel Aviv University.